Gain a new perspective on your well. We offer Downhole Camera work for Borehole and Well Inspection. Locally owned & operated: Henderson Drilling Inc. has 6 drilling rigs available. 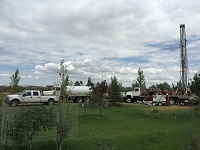 Specializing in geotechnical, environmental, water wells, and mineral exploration. 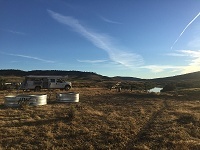 Many residents of rural Wyoming rely on private wells for their drinking water. You can depend on Henderson Drilling Inc. to do the job right. Have an emergency pumping job? You can rely on Henderson Drilling. We are available 7 days a week, 24 hours a day for emergency pumping. 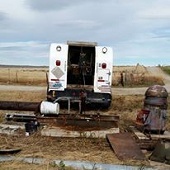 In addition, licensed in the State of Wyoming to drill, install, and maintenance water wells. 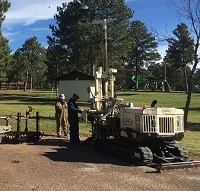 Henderson Drilling Inc. is skilled in both commercial and residential applications and can customize a drilling solution for your needs. Henderson Drilling Inc. can work with you to craft and carry out a plan for your specific situation. The best way to get started is to fill out our contact form and schedule a free consultation. Henderson Drilling Inc. has a great selection of equipment to meet the customer needs. Henderson Drilling is hiring. Apply to join our team.